Treygan, the stormy-eyed merman who turned Yara mer, will stop at nothing and sacrifice everything to protect his people--until he falls for Yara. The tides turn as Yara fights to save herself, hundreds of sea creatures, and the merman who has her heart. She could lose her soul in the process--or she might open the gateway to a love that's deeper than the oceans. "But more than anything it reminds me to love. Screw the rules, damn the consequences, and just love. Love until it kills you, because there's nothing better worth dying for." God, how I loved to see her smile; it was contagious. "Thank you," I said, wiping water from her face. She pulled herself closer and squeezed her thighs tight around my hips. "For what?" "For the best times of my life." I caressed her face, pausing for a few moments so she could have the calm before the storm that she enjoyed so much. I waited for her shaky inhalation and pressed my mouth to hers. My lips found heaven. Going into this book, all I really knew about it was that it featured mermaids and that Tiff loves it. Then I jumped in and read the first chapter, and pretty much flew through the whole book in a day and a half. I expected to like this book, of course, but I did not expect the level of complete investment I stumbled into. This world and these characters squirmed their way into my mind and held on tight. Yara was a nice character, but she got on my nerves a bit for the first chunk of the novel. She was so resistant to listening to reason, and her decision-making wasn't the best. She did things on impulse, and those things weren't exactly the greatest choices. I understand that she was thrown into a crazy town situation, but she didn't handle it in a reasonable way at all at first. Later into the story, she got better and more logical. That was where she turned into a character I liked and cared about--and I still do. She grew a bunch throughout the story. Treygan took some time for me to grow to like, too, but not quite as long as Yara. At first, Treygan was just so hard to crack. Stern and not very fun. As we got to know him, however, he got more free and we also got a better look at him as a person. Then it wasn't as hard to understand the way he acted. He ended up being a character I loved--total book boyfriend material here. He was caring, strong, protective, and kind. Rownan was the guy I was a fan of from the beginning. I really wanted to dislike him at first, because it was obvious his intentions with Yara weren't exactly positive. But I connected with him more emotionally. He had so much turmoil going on in his mind, and it made me feel for him. Plus, he was a good guy at heart. He cared. He tried to make the right decisions, the ones that would work out for the better good. So while I didn't like the side of him that wasn't the best to Yara at times--like when he lied and whatnot--I still liked him for pretty much this whole book. I couldn't help but heart this guy. It was a pleasant surprise to see that this book was told in multiple POVs--Yara, Treygan, and Rownan. This worked out so well, because it helped with seeing all the character growth and internal struggles. Without being able to see in all their heads, I may not have grown to love them as much as I have. They're all good people who had this huge situation to deal with, and they're all going about fixing it in the way they see fit, the way they think is right. And they struggle with this, among other things. I loved the internal struggles and getting to know these characters so intimately. The writing was so good. Their personal struggles mixed with the overall plot created a super great story that touched on enough world building for me to understand without being dumpy, and pulled me in so that I was interested from beginning to end. There were some twists and turns in this plot, and even though I thought I had everything figured out, the end solution was definitely not what I could have imagined. Not too far out of left field, still a believable occurrence in the storyline, but surprising enough that I didn't figure it out of my own accord. 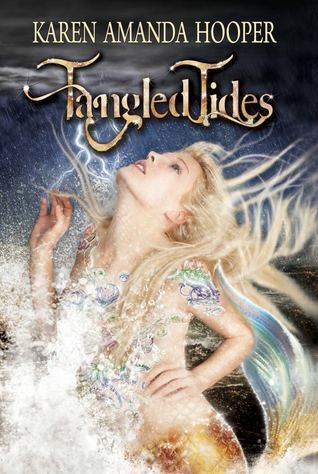 Overall, Tangled Tides was a wonderful story with characters I grew to love, a world that fascinated me, and a plot that went through some twists and turns I couldn't have guessed myself if I tried (and I totally tried). If you're looking for a good mermaid book that'll make you swoon, laugh, and gasp, Tangled Tides is one you should definitely pick up. And I know I am definitely interested in the rest of the series, and plan to look into this. More books in this fabulous world? Count me in! Hi, Treygan! I am so incredibly glad to have you on Bookish today! Thanks for the invitation. I’m honored to be here. So let’s start with something simple: describe yourself in five words or less, please? Hmm, that’s tough, but I’ll give it a shot: Complex, loyal, lost then found. What’s your favorite thing about being a merman? Having so many gifted and unique loved ones. You’ve worked your way through the ranks, all the colors. Which of them all has been your favorite and why? Not all of them. I’ve never been a Violet, and I’m not sure I’d want that much responsibility. My favorite by far is Blue, because it allowed me to be Yara’s guardian. Remember how I had you describe yourself in five words or less (like two seconds ago)? Can you do the same, but for Yara this time? It’s impossible to fully describe her in five words, so I’ll do my best by saying this: Yara is my beloved Yamabuki. Oh, and now with Rownan! I liked that guy, even though he was quite perplexing at times. Perplexing is a great word for him, but he’s also misunderstood. If you read Dangerous Depths, you’ll gain a much better perspective on my brother. After everything that has happened, how has your relationship with your father and brother changed? That depends how far along you are in our memoirs. We have come a long way since the beginning of Tangled Tides. And there’s a lot more ahead in Sacred Seas, so I don’t want to give anything away. I want to stop everything here and now for a moment so that I can say that I was always Team Treygan. You’re a cool dude. Let’s be best friends. *laughs* Thanks, but I thought we already were friends? Oh, and Pango! I want to be his best friend, too. Pango would love that. He loves almost everyone. Merrick is a tougher nut to crack, but I’m sure he’d love to meet you. Don’t try to steal my best friend. Back to actual questions… What was it like the first time you met Yara? The very first time? It was quite the adrenaline rush. That’s all I say for now. Depends who I’m loving or fighting. I can be both. This next question is the most important question I ever ask any book boy ever. Okay? Prepare yourself. Let’s say I gave you a pet tiger. (Because I’m awesome like that, in case you hadn’t noticed.) What would you name that adorably vicious male pet tiger and why? Hmm, that wouldn’t be fair to the tiger because he’d hate the ocean life and wouldn’t be able to swim underwater with me, so I’d probably name him Free-to-good-home. 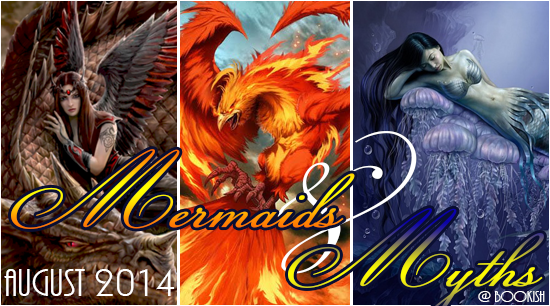 So our little event here is all mermaids & myths focused. Is there anything about mermaids & myths you’d like to say? Maybe a favorite myth or something super random about mer people that I never would have guessed in a million years because I’m too busy asking my best merman friend questions about tigers? I’m still in the habit of keeping our mer secrets from humans, so for now I’ll say we’ve already revealed enough. If you had to rate this interview on a 1 to 10 scale, what would you rate it and why? Definitely a ten, because I gained a new best friend and tiger from it. Thanks so much. Feel free to visit us too, but I suggest bringing snorkel gear. I've been making up stories for as long as I can remember. In high school I discovered my passion for putting my thoughts onto paper, but it wasn't until my late twenties that I wrote my first novel. Due to my strong Disney upbringing, I still believe in fairy tales and will forever sprinkle magic throughout all of my novels.